Happy Birthday to my brilliant niece - You are a wonder. Keep shining your light and sharing your fire. You have so much to offer this world. 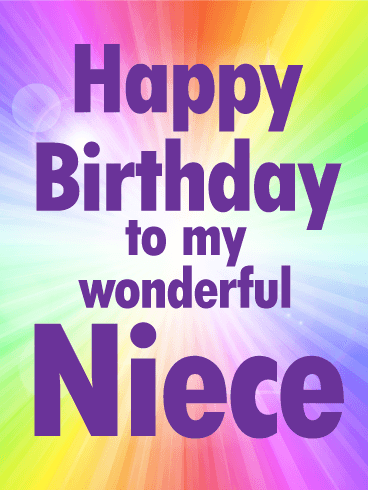 Add some punch and pizzazz to your niece's birthday with this awesome birthday card. 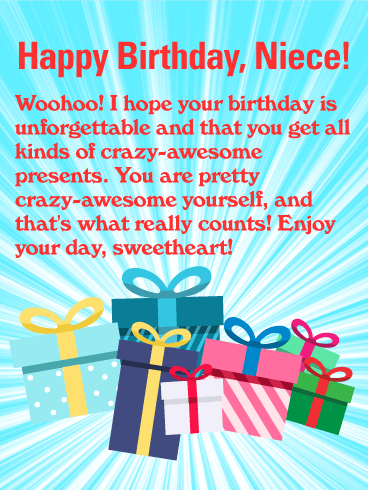 It's a simple, sweet, and thoughtful birthday message that works for a niece of any age. 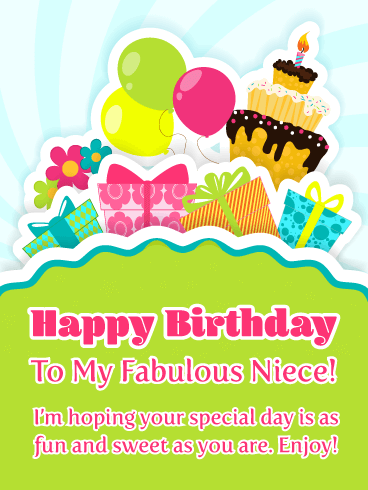 Wish your niece a very a happy birthday by sending this colorful and fun birthday card today. 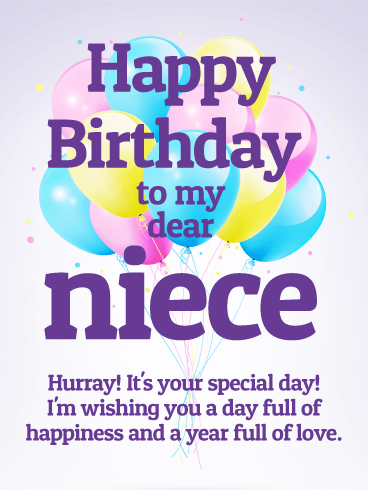 Let your niece know how much you love her when you send her a fantastic birthday card on her special day. Nieces bring sunshine and laughter wherever they go. 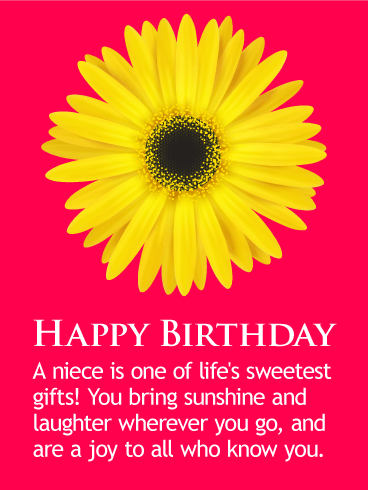 Wish your niece a beautiful birthday with this breezy fresh, and pretty birthday card. 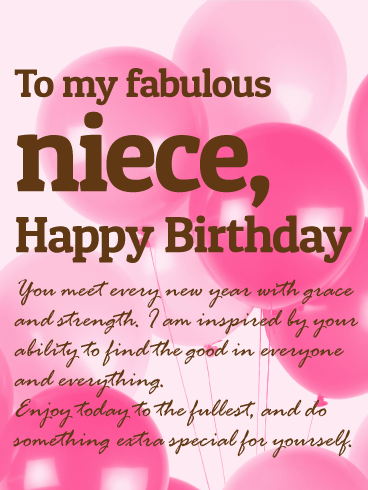 A gorgeous birthday card with a thoughtful message is the perfect way to celebrate your niece's birthday. 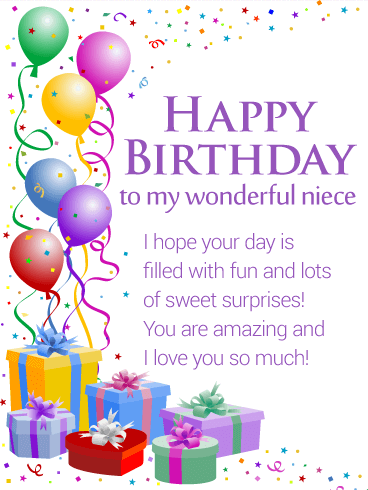 Let your wonderful niece know what a joy she is to you and others and send this birthday greeting card to her today. Crazy and awesome? Sounds like the best kind of niece! Let your little niece know how excited you are that it is her birthday. 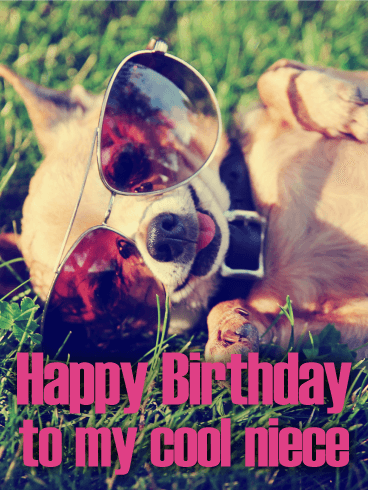 Wish her a great day with this fantastic birthday greeting card. It's spirited, fun-loving, and perfect for a girl who has gifts on her brain. Who doesn't on their birthday, right? 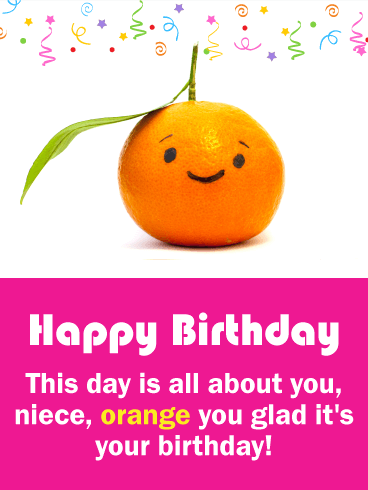 Send this awesome birthday card to your niece to make her day really rock. Nieces are so wonderful! 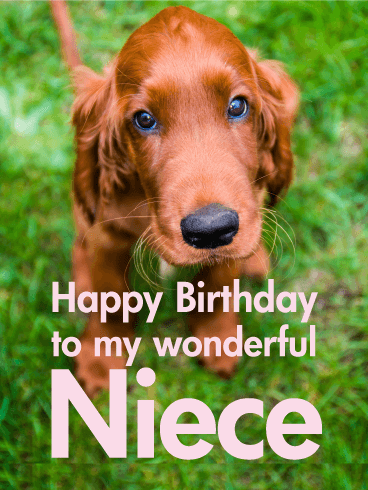 Celebrate your niece's birthday with this gorgeous birthday card that lets her know how you feel. 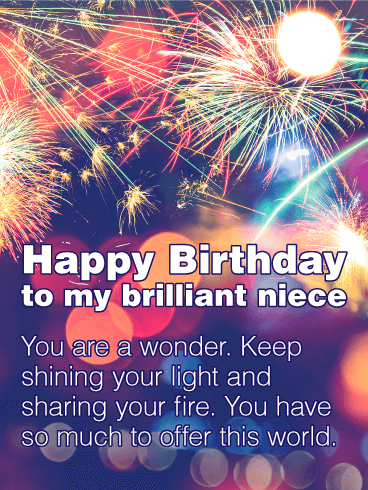 If you are in awe of the woman your niece becomes with every passing year, than this is the birthday card for you. 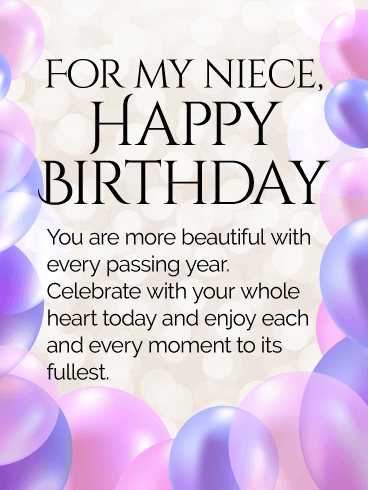 Send your niece a beautiful birthday card to wish a happy birthday and encourage her to celebrate today with her whole heart. 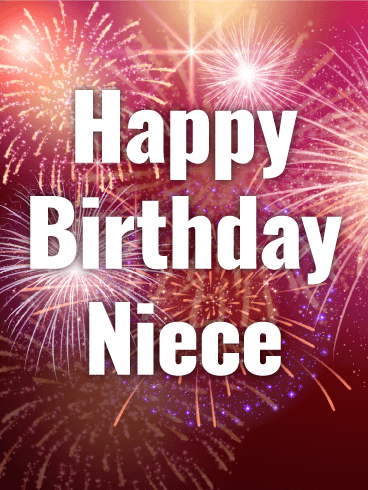 Help your niece enjoy every moment of her birthday with this stellar birthday greeting.